The timelessly elegant design fits perfectly in the environment. 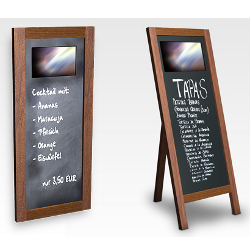 The latest advertising technology in combination with a standard whiteboard accepted as standard in restoration. 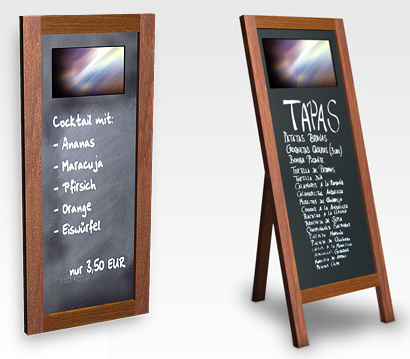 Allows you to welcome your guests and present the highlights of the day in the reception area. 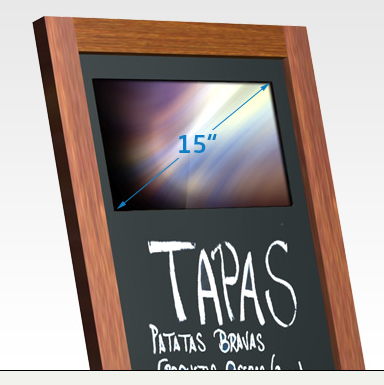 While at the table you can see the menu, the images or videos on the screen attract public attention. This unique solution combines two worlds and makes it easier to update the digital advertising.